The use of time is art to live. Our life is very short and we are doing so much work in this short time. In this short time we are always do that work which not only happy ourselves but are also make other happy. There are some rules and we must follow for spending the life like religion, education, sports, marriages, birth and death. These are things are present in our life and we can say that it is the part of our life and every people that are present in the corner of the world will obey the rules. Those who breaks these laws will not be a good person and everyone hate them. 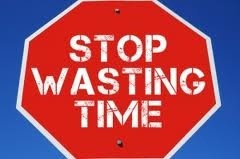 Time play a very important role in our life. If we waste this time then we will be the great loser. The most important thing is that we should avoid unpunctuality because those people who are unpunctual always lost the opportunities and the chances of success. The unpunctuality is a very bad habit. 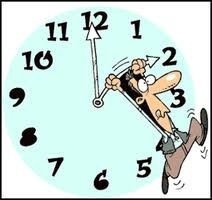 Unpunctuality is the other name of wastage of time. 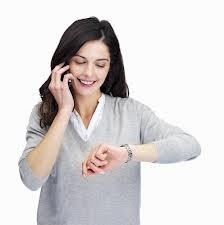 A punctual person will always remember the importance of time and doing every work in time. They are avail the opportunities and become successful in life. In our daily life we waste so many time for watching television, using Internet, reading sensational novels. All these things have no benefits and advantages for us it is only waste of time some people especially women waste there a lot of time for gossips, window shopping. In 5 to 10 years the young generation became a fashion that they use Internet in the whole night and sleep at the whole day. This is also a great wastage of time. Young generation also waste the time for messaging and using internet. All the ways of passing the time are harmless. The right use of time is that we spend the life in a better way. We spend our life for the welfare of the people and help the parents in his daily work. The most important use of right time is gaining of knowledge. In short the time of our life is very short and we are always use it in a better way.